Watch what happens when a particle of light knows it’s being watched. I am summarizing the double-slit experiment here to show that physics has evidence that our consciousness affects reality. When they open up a second vertical slit parallel to the first slit in the partition, and shoot one photon at a time through each slit, they assumed they would see two vertical bands of light parallel to each other on the wall. (Like this I I ) What they see, however, is an interference pattern on the wall ( I I I I I ), which means that each individual photon is going through both slits at the same time, like a wave, and “interferes” with itself on the other side creating an interference pattern. Each particle suddenly seems to exist everywhere, in many different places at once — like a wave spread out everywhere. This phenomenon is known as superposition. However, particles only act this way when no one is looking! Something strange occurs if someone is watching or if detectors are placed at each slit to see when a photon changes into a wave and goes through both slits at the same time. 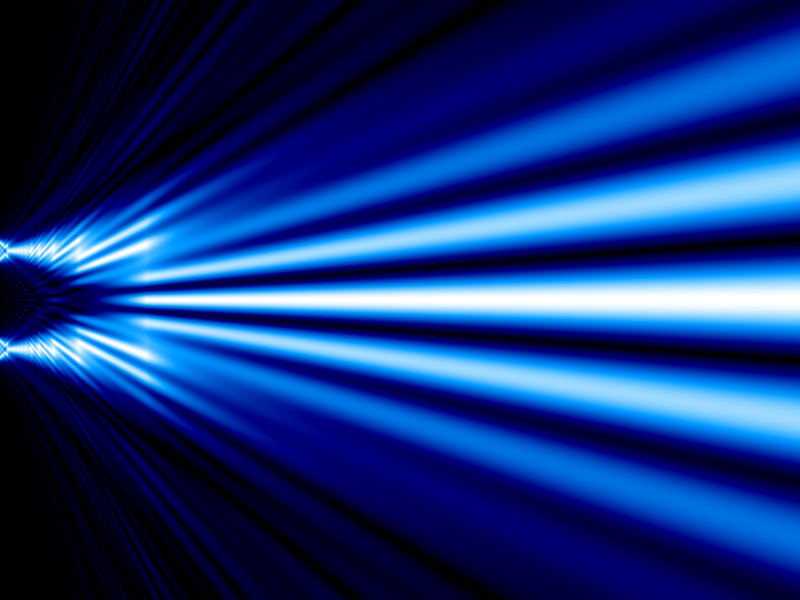 When there are detectors or an observer present, the single photon doesn’t become a wave. It remains a single photon and goes through only one of the slits. The photon behaves itself, as if it knows it is being watched. So photons appear to be aware! And the observer affects the behavior of the photon.